But recent research published in the American Sociological Association's Sociology of Education journal shows that my gender (male) was one of the determinative factors in the relative ease of my social integration. In an article published last year, Megan M. Holland, a professor at the University of Buffalo and a recent Harvard Ph.D., studied the social impact of a desegregation program on the minority students who were being bussed to a predominantly white high school in suburban Boston. She found that minority boys, because of stereotypes about their supposed athleticism and “coolness,” fit in better than minority girls because the school gave the boys better opportunities to interact with white students. Minority boys participated in sports and non-academic activities at much higher rates. Over the course of her study, she concluded that structural factors in the school as well as racial narratives about minority males resulted in increased social rewards for the boys, while those same factors contributed to the isolation of girls in the diversity program. 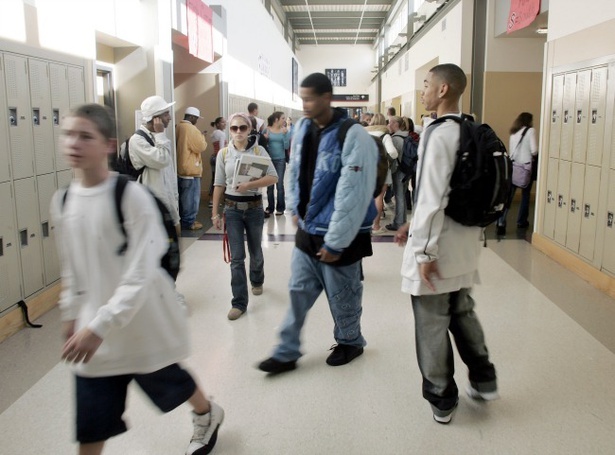 The black boys in Ispa-Landa’s study found themselves in peculiar situations in which they would play into stereotypes of black males as being cool or athletic by seeming “street-smart.” At the same time, though, they would work to subvert those racial expectations by code-switching both their speech and mannerisms to put their white classmates at ease. Many of the boys reported feeling safer and freer at the suburban school, as they would not be considered “tough” at their own schools. It was only in the context of the suburban school that their blackness conferred social power. In order to maintain that social dominance, the boys engaged in racial performance, getting into show fights with each other to appear tough and using rough, street language around their friends. In the case of the girls, the urban signifiers that gave the boys so much social acceptance, were held against them. While the boys could wear hip-hop clothing, the girls were seen as “ghetto” for doing the same. While the boys could display a certain amount of aggression, the girls felt they were penalized for doing so. Ispa-Landa, in an interview, expressed surprise at “how much of a consensus there was among the girls about their place in the school.” She also found that overall, the girls who participated in diversity programs paid a social cost because they “failed to embody characteristics of femininity” that would have valorized them in the school hierarchy. They also felt excluded from the sports and activities that gave girls in those high schools a higher social status, such as cheerleading and Model U.N., because most activities ended too late for the parents of minority girls. Holland notes that minority parents were much more protective of the girls; they expressed no worries about the boys staying late, or over at friend’s houses. Once minority women leave high school and college, they are shown to continue to struggle with social integration, even as they achieve higher educational outcomes and, in certain locales, higher incomes than minority men. Though, as presaged by high-school sexual politics, they were still three times less likely than black men to marry outside of their race. A couple of months ago, Ebony.com editor Jamilah Lemieux started the Twitter hashtag #blackpowerisforblackmen to discuss the little-talked about but deeply-felt existence of black male privilege. Tweets like “#blackpowerisforblackmen because the Black men's problems are the community's problems” and “#blackpowerisforblackmen bc although black women played a pivotal role in the civil rights movement, we're only told about MLK&other blk men” speak to a history of minimizing of the experience of black women. The hashtag, which attracted no small amount of blowback from black males, revealed the dilemma that many black women face: having to combat both racism and sexism. Like the research about the diversity programs, the conversation showed that what we sometimes instinctively think of as “the black experience” is complicated by gender. The ostensible purpose of affirmative action is to increase the presence of minorities in colleges and universities. But as the Supreme Court considers further limiting the scope of such programs, it is important to remember that unless cultural expectations about race and gender change, full educational integration will remain a pipe dream.